Talented bumper performer Acey Milan can make it third time lucky over obstacles in the Happy Birthday Kim Shaw Novices’ Hurdle at Plumpton. Anthony Honeyball’s five-year-old, twice a Listed bumper winner last season and fourth in the championship event at Cheltenham, has unsurprisingly gone off odds-on in both his hurdles races so far. He was especially disappointing over an extended two and a half miles at this course last time. But his trainer is in much better form than he was then and after a break, down in trip, Acey Milan is an obvious contender here. Duc De Beauchene has yet to really sparkle but might have been found a good opportunity in the IEP Financial Handicap Hurdle. David Pipe has not previously tried his charge beyond two miles. But he has always shaped as though more of a trip will suit, and it is interesting he is hiked up half a mile in trip here. A 145,000 euros purchase back in 2016, it is too early to write him off. Melody Of Scotland would doubtless be a popular winner of the Betway Mares’ Handicap Hurdle at Musselburgh. She has shown little in three starts so far for Ben Haslam, but moves up to three miles this time. 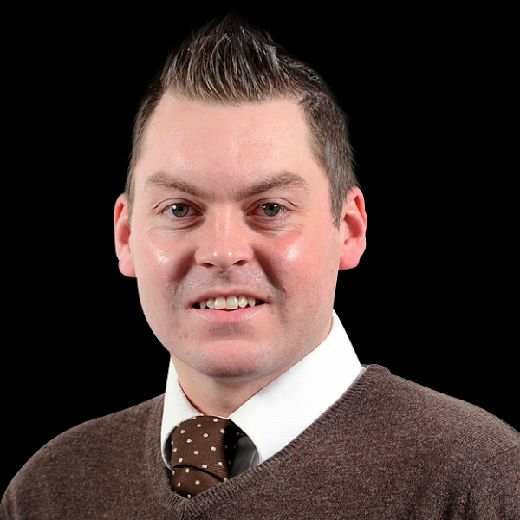 On the Flat, Glory Of Paris and Sir Ox are two that appeal on Kempton’s evening card. Glory Of Paris was far too keen for his own good at Newcastle at the start of the month, racing wide before being found out inside the mile distance. He was racing off a career-high mark that day, but a perch of 81 does look beyond him in the 32Red Handicap. Sir Ox goes for a quickfire hat-trick in the 32Red.com Handicap. Robert Cowell’s gelding has a 6lb penalty for last week’s course-and-distance win, but is at the top of his form. At Southwell, Point Zero is another hat-trick seeker set to carry a penalty – giving him top-weight of 10 stones in the Betway Sprint Handicap. Mick Appleby’s four-year-old has twice looked to have a little in hand, also over course and distance, so may take some stopping again. 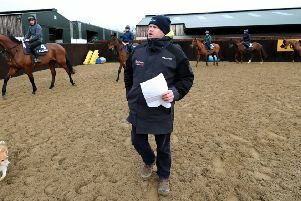 There has been no hold-up over in Ireland, of course, during Britain’s recent shutdown because of the equine flu outbreak – and the action resumes at Fairyhouse. Andalusa is the one to follow in the opening Smart Money’s On Coral Maiden Hurdle as Willie Mullins’ Cheltenham entry goes in search of a first Irish success. Her recent effort when third behind Carlo Biraghi looked decent enough, while she was unfortunate to run into Sir Erec on her debut for Mullins. Given the winner’s subsequent exploits, there was little shame in being beaten nearly 10 lengths on that occasion – and she would not have to improve too much to win here. In the Coral Bet £5 Get £20 In Free Bets Rated Chase, Call It Magic should appreciate a return to regulation fences for Ross O’Sullivan. Fourth in the Becher Chase before Christmas, this looks an ideal stopping point on the way to Aintree in the spring. The card closes with the Coral Download The App Handicap Hurdle, and Father Jed is the pick here. He found plenty for pressure when winning at this track last month – and while a 5lb rise looks a bit harsh, Father Jed can rise to the challenge. KEMPTON: 5.15 Lady Wolf, 5.45 Mount Ararat, 6.15 Chica De La Noche, 6.45 Sir Ox (treble), 7.15 Glory Of Paris, 7.45 Galileo’s Spear, 8.15 Blessed To Empress. MUSSELBURGH: 2.20 Copper Gone West, 2.50 Samtu, 3.20 Melody Of Scotland, 3.50 Highland Bobby, 4.20 Extreme Appeal, 4.55 Midnight Queen. PLUMPTON: 2.10 ACEY MILAN (NAP), 2.40 Good Man Pat, 3.10 Duc De Beauchene, 3.40 Seaweed, 4.10 Robinesse, 4.45 Call Sign Charlie. 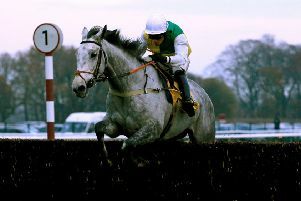 SOUTHWELL: 2.00 Liamba, 2.30 Mearing, 3.00 Busy Street, 3.30 Grey Destiny, 4.00 Playfull Spirit, 4.30 Point Zero (next best).